Finally! Beyoncé and Jay-Z's twins' names have been revealed. Get ready to meet Rumi and Sir Carter. According to E!, the super star duo filed documents to trademark the babies' names on Jun 26 with the United States Patent and Trademark Office. The filing specifies that the trademarked names can be used on several types of merchandise — like baby teething rings, carriages and strollers. Does that mean we can expect a Rumi and Sir baby line soon? On June 17th it was announced that the Beyhive just got a little bigger as Beyoncé and Jay-Z welcomed their twins. We later learned that the twins arrived prematurely and after spending some times "under the lights," were ushered to the Carter's Malibu mansion. 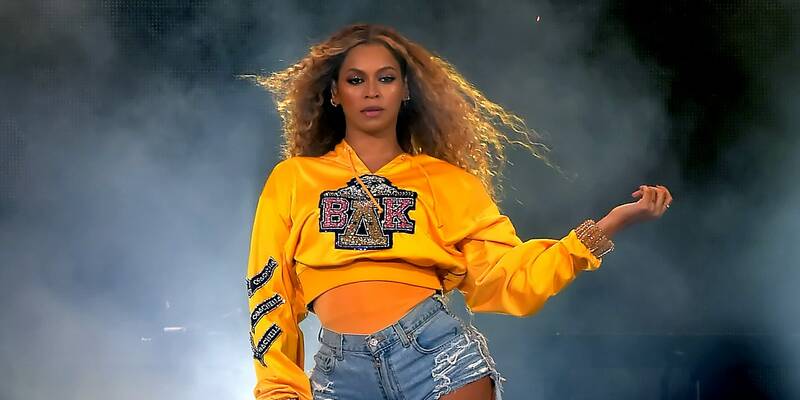 Back in February of this year, Beyoncé sent the Internet ablaze with the news she and her husband Jay Z were expecting not just one baby, but two. "We would like to share our love and happiness," the superstar songstress wrote on Instagram, captioning a now famous photo of her posing in lingerie and a veil and holding her growing belly among wreaths of flowers. "We have been blessed two times over. We are incredibly grateful that our family will be growing by two, and we thank you for your well wishes. —The Carters"
With the news that the couple's five-year-old, Blue Ivy, will soon be scoring two siblings, the world went on baby(s) bump watch, as Beyoncé indulged her fans with a too-cool maternity shoot where Bey looked like a bonafide pregnant goddess. Despite the Internet speculation that she was expecting two boys (she was wearing those earrings from her "If I Were a Boy" music video, after all! ), the singer welcomed a boy and a girl and now we finally know their names. Welcome to the world Rumi and Sir, we can't wait to see your first baby pics!